Most Popular model for the frequent user! The Pro spray is our most popular model ideal for frequent users for both spot spraying and boom spraying. Thanks to its accuracy and its superior aluminium handlance the pro spray has less drift and so is more environmentally friendly. 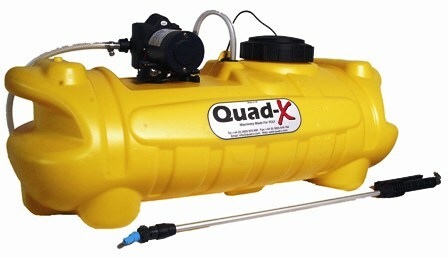 Equipped with a high-capacity pump the pro spray is able to run up to a 16ft/4.8m boom. Its solid, durable tank is UV protected to prevent cracking in sunlight for years to come. Moulded on handles can hold up to 15m of hose and ensure easy carrying. 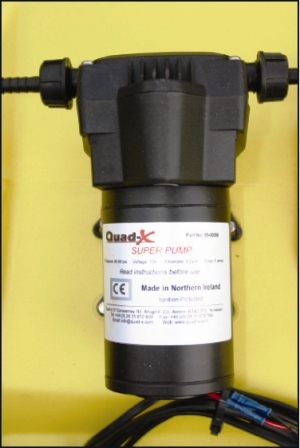 Available in 60L and 100L capacity. Fits on any ATV in seconds.